Starting a very young child on a musical journey is joyful, exciting and challenging. 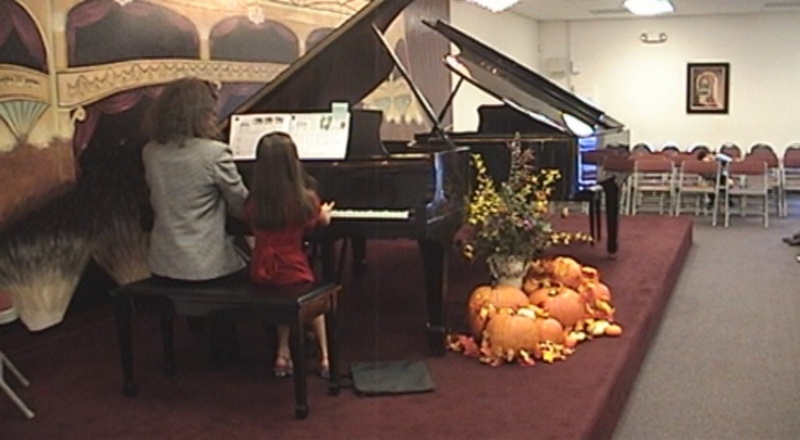 The first baby steps taken at the piano will be memorable for both teacher and student, so careful thought and preparation are needed. At the very outset, I believe in nurturing an awareness of the singing tone and how it is created. In the most fortunate circumstance a child has a real acoustic piano to practice on at home in order to experiment with various tonal shades, timbres, “colors” that we explore at our lesson. This consciousness of what the instrument can elicit as we tap into the imagination and inhabit a universe of sound exploration, requires attentive and sensitive listening. This is where the teacher can be the magical guide. At this crucial point of engagement, lessons can take off in positive directions and bond the student to the whole creative musical process. Singing is an activity universal to childhood and a teacher who taps into this celebration of musical expression, will go a long way toward imbuing what the singing tone is about as it applies to the piano. The goal will be to teach a child to “sing” through his fingers and shape a phrase as he or she would vocalize it. Learning hand position formation is important at the beginning of study, and it is not rigid but gently round, with curved, not curled fingers. The teacher can gently nudge the student in a relaxed physical direction by suggesting the light embrace of a ripe plum in his palm. The consequences of squeezing it too tightly will be amusing to the child, but well taken. While materials such as Faber Piano Adventures provide great launching pads for formal piano study, it is the teacher who has to translate all the notes and symbols in these primer method books into a language comprehensible to a child and his universe of play. The playground as music teacher is certainly a concept that applies to the piano lesson and its content for very young children. Staccato notes suggest lighthearted images: students often imagine that they are bouncing on a trampoline, or listening to popcorn pop. They will spontaneously share an activity that is suggestive of crisp, detached, staccato notes. Run with it and enjoy! When teaching the legato, (smooth and connected) singing tone, images of gliding on ice, floating clouds, rolling waves, inspire children to play expressively and not hammer out notes in a mechanical way. The flexible, “spongy” wrist is the great shock absorber, and it should be demonstrated as well as modeled. To imbue a sense of a steady beat, the teacher can guide the student along with a very buoyant motion of her hands and arms, and NOT refer to a clock, or metronome. After all, the beat is a frame for the music which can bend with the breeze as phrases taper to their conclusion. It is never static and stultifying. Animated clapping exercises shared back and forth between teacher and student are always helpful. There is a joy to teaching very young children, because imaginations can happily run wild and create a very exciting, inspiring space that both teacher and student can inhabit. Music and movement teachers find in the Orff Schulwerk a total approach to fostering creativity and conveying musical knowledge and skills.